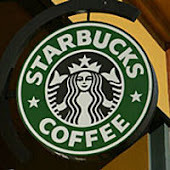 By Starbucks definition, a latte is composed of expresso and milk. A hot latte is made by pouring shots of expresso directly into the cup then steamed milk is poured in and finally the drink is topped with a spoonful of foam. Starbucks allows you to customize the type of milk, sweeteners and toppings used in your coffee. TOPPINGS Choices for toppings are cinnamon, chocolate powder, vanilla powder, nutmeg, whipped cream, caramel and mocha drizzle. Nice site! Just one comment . . . the correct word is "Espresso", not "Expresso". Awesome recipes....this is great!!!!! Tx. Well...looks like Starbucks just lost them a customer. Been on this site for a long long time and now all of a sudden, they want me to register as a vendor? Since I'm NOT one, I can't register as one. You wanna be that frakkin' picky about who uses your site, especially when it's someone who has been a loyal customer for ages? Well...stuff it. I'm done. Lmao your comment is awesome!